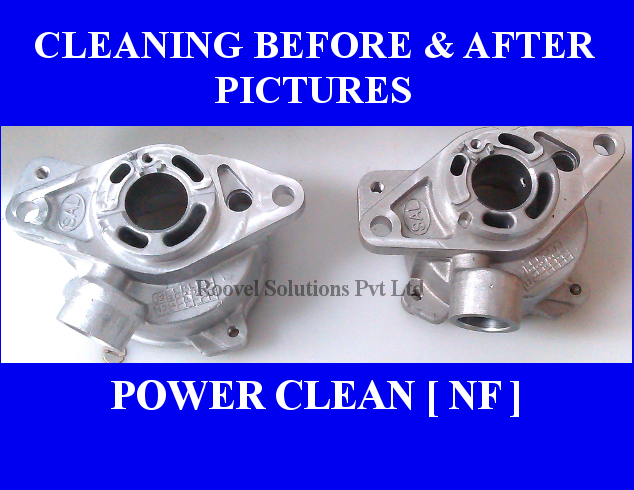 POWER CLEAN NF is a very effective soft metal degreaser / cleaner that removes Oil, Grease, Dirt, Dust e.t.c from soft metals (Aluminum, Copper, Nickel, Brass...) surfaces very easily and quickly. Best Aluminum Cleaner that Cleans & Brightens! 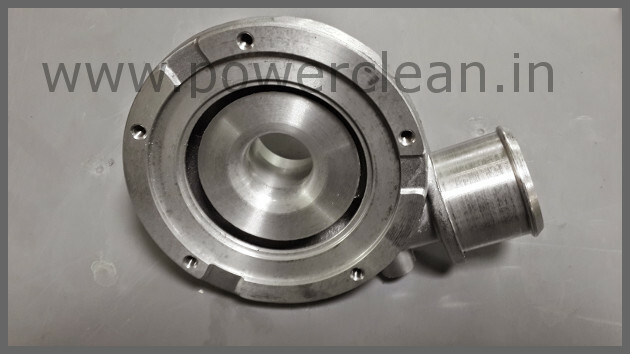 POWER CLEAN - NF cleans soft metals/non-ferrous metals very effectively with no discoloration or stain mark or white rust. It was formulated as a neutral cleaner specifically to clean soft metals. However, it is also suitable for cleaning all other ferrous and non-ferrous metals. POWER CLEAN NF neutral cleaner is safe for use on all metals and requires no extra steps for most applications. Hence, you may safely and effectively use it as an aluminum cleaner, brass cleaner and copper cleaner as well. 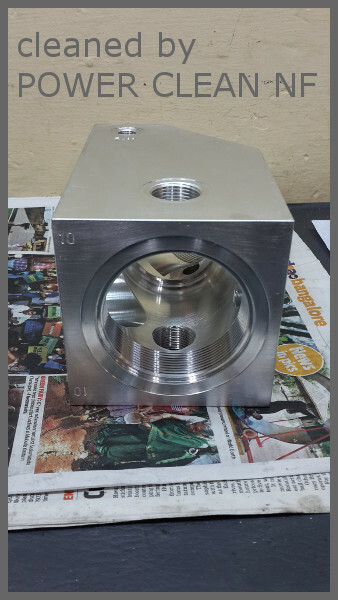 This neutral degreaser is best used in a cleaning application where the most powerful cleaning action is desired and different types of metals will be cleaned in the same parts washer. It makes cleaning Aluminium/Aluminum and other soft metal surfaces fast and easy, saving time and money in the process. This brass cleaner is low foaming and a neutral pH biodegradable degreaser/cleaner for use in manual, ultrasonic, spray wash, immersion and many other machine cleaning applications. It is a safe-handling detergent that can be used for non-corrosive cleaning. Despite its several capabilities, POWER CLEAN NF degreaser has been one of our most popular industrial cleaning products to clean/degrease Aluminium effectively. We were pleasantly surprised to see the product not only cleans but also brightened the aluminium. An excellent all around Aluminium Cleaner and Degreaser which does not darken the metal or leave any white patches after cleaning. This product simply works without any white rust issues. we strongly recommend!.